"MOOD" Examples in Literature! PLUS "Mood in Movie Clips" Graphic Organizer! 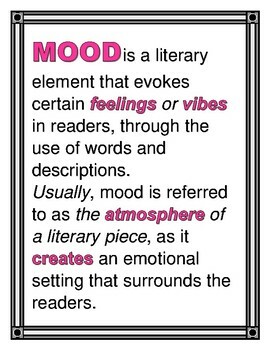 Not sure where to begin with teaching "mood" in literature? 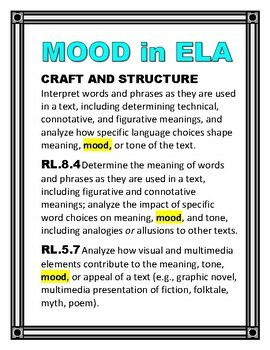 Introduce students to the standards that relate to mood, provide the definition in literature, display positive and negative examples of mood in reading and show a few movie clips that highlight mood in movies! This set includes them all! 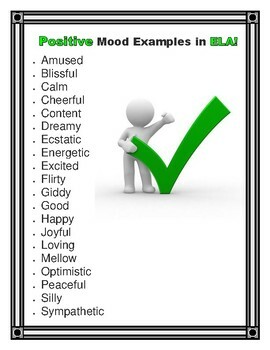 Great way to introduce "Mood" to your students! -List of (20) Positive Mood examples in Literature. 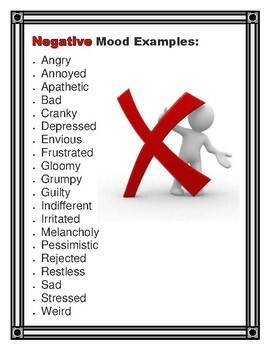 -List of (20) Negative Mood examples in Literature.